I had to check and re-check to make sure I was correct on this; I could’ve sworn that Chicago had not won Best Picture. It did win back in 2002 but I kept thinking otherwise – surely this was wrong? As I’m sure everyone and their dog knows, Chicago is based on the popular musical of the same name. It’s not an awful film. In fact, when I initially saw it, I really liked it. A second viewing, however, doesn’t feel very fresh and got stale pretty quickly, but for the musical genre Chicago is pretty good. The one problem I always had with the movie was that it felt oddly cast. 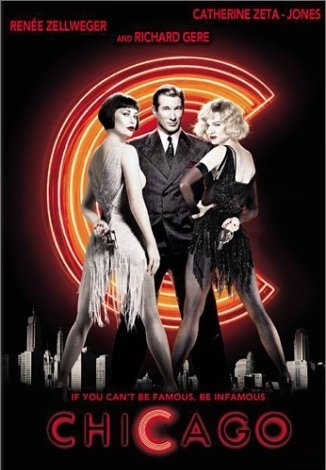 Catherine Zeta-Jones was a pretty good Velma, but I didn’t like Renee Zellweger much as Roxie, nor did I feel Richard Gere was particularly outstanding in his role. Even John C. Reilly felt a little out of place and that feels odd to write down. It certainly wasn’t better the second time around and I found myself marveling that, yes, this movie did win Best Picture. It’s certainly well handled, especially since I think taking something from the stage to the screen can be more than a little tricky and even trickier when it’s a musical. To be fair, the musical numbers are done well and the rest of the film is not poor by any standards. The problem is that when I sat down to really think about what Chicago had achieved, I wasn’t feeling very impressed. I keep coming back to the fact that the movie was pretty good. Chicago is not great, not excellent, just a little bit above the rest of the flock. Who else was nominated in 2002 for Best Picture? I’m flummoxed. 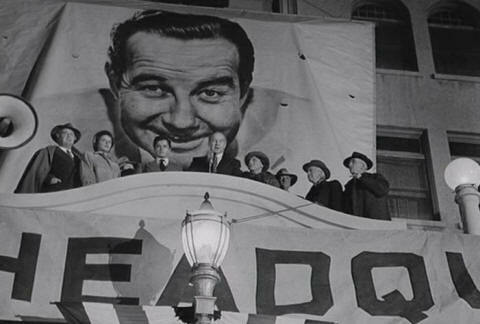 I have to be honest – I have little to no idea what Academy members have in their heads when they vote, nor do I intend to start speculating. If you compare this movie with The Pianist, for example, The Pianist comes out on top easily. Adrien Brody really did a fantastic job in that movie and it was all-around great, as opposed to being just pretty good. Why Chicago won, I don’t know. I do know, however, that Renee Zellweger’s face must un-squint itself, since you can barely see her eyes anymore from all the face-scrunching. Renee, you gotta stop doing that, because watching your movies nowadays makes my face hurt for you. 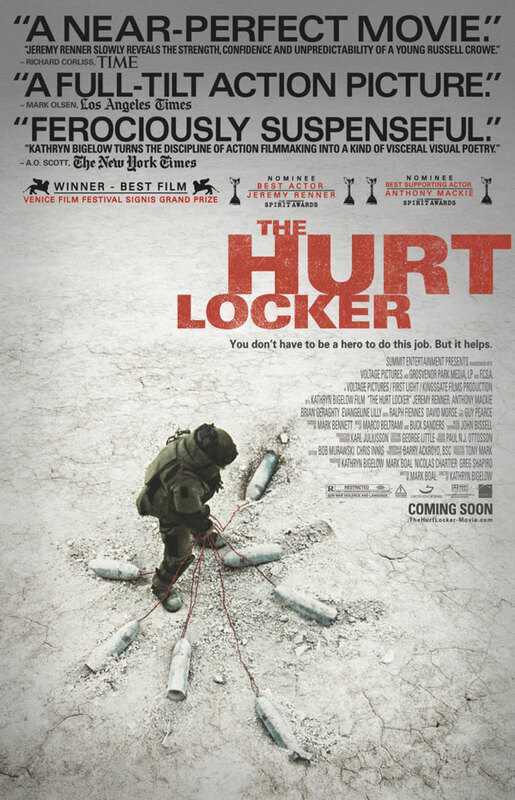 Oh God, don’t watch this movie unless you’re prepared to cry — especially if you’re a guy. Ted Kramer is a career-minded businessman who’s obsessed with promotions and “bringing home the bacon”, while Joanne Kramer is an unsatisfied housewife who feels like her life is going nowhere. The film starts on “one of the five biggest days of [Ted’s] life”, where he is informed he’s landed a large account at his firm and comes home to find Joanne leaving. Ted’s ill-equipped to take care of their son Billy and Joanne refuses to take him along with her, saying that Billy is “better off without [her]”. So with a heavy workload, no understanding of how to take care of a kid and little patience, Ted is left on his own to figure out how to raise a child and why, exactly, his marriage failed. Along the way, he discovers he enjoys being a father more than he ever realized, loses his job as a result and decides to be the best dad he can be. And then Joanne rolls back into town, determined to have primary of custody of Billy because she’s his mother. 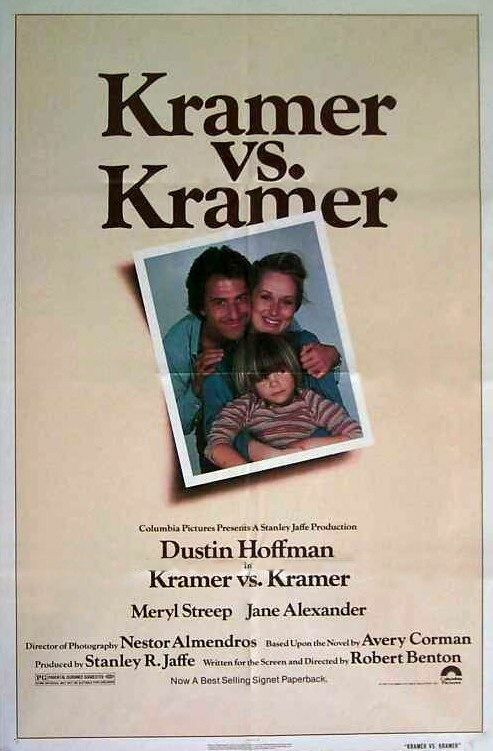 Kramer vs. Kramer is an interesting film because at a time when American culture was shifting wildly, the film explores the traditional viewpoints of parenthood evolving. 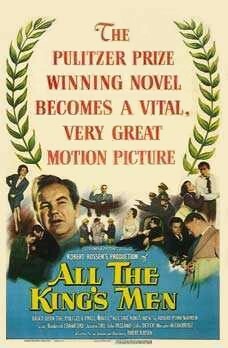 The beginning depicts the typical American family of the ’50’s and ’60’s and pretty much asks the question, “What do you do when everything changes and falls apart?” There’s no script and no Cliff’s Notes for parenting, certainly not when a situation like the one in the film arises, and a family has to adapt as best it can. Dustin Hoffman and Meryl Streep turn in fantastic performances and the film gives equal weight to both Ted and Joanne’s point of view, but in the end it’s difficult to sympathize with the flighty, unstable Joanne. Hoffman in particular is stunning, making you feel for Ted even when he’s at his most unlikeable, something that’s extremely difficult to do. Streep gives a lot of depth, character and soul to a character that’s easily written off by any other actress. It’s emotionally trying but well worth the effort to sit down and view. Goodness, that’s an awful lot of colons. It’s amazing in a way to see how far Peter Jackson has come since making Bad Taste and Dead Alive, but he’s still got the same spirit and love for movies. And he made me like Tolkien. 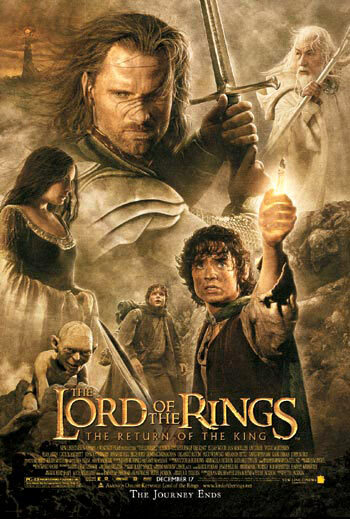 I should probably preface this by saying I loathe the LOTR trilogy and the Hobbit. I forced myself through The Hobbit, telling myself it would get better, and then I hit Fellowship of the Ring. I got to the part about Tom Bombadil and I just said, “Okay, I give up. This is stupid.” Probably not fair of me, but I learned my lesson with the Narnia books, which I hated but read every single one of them when I was a kid, so I could read the complete series and make up my mind. They never got any better. 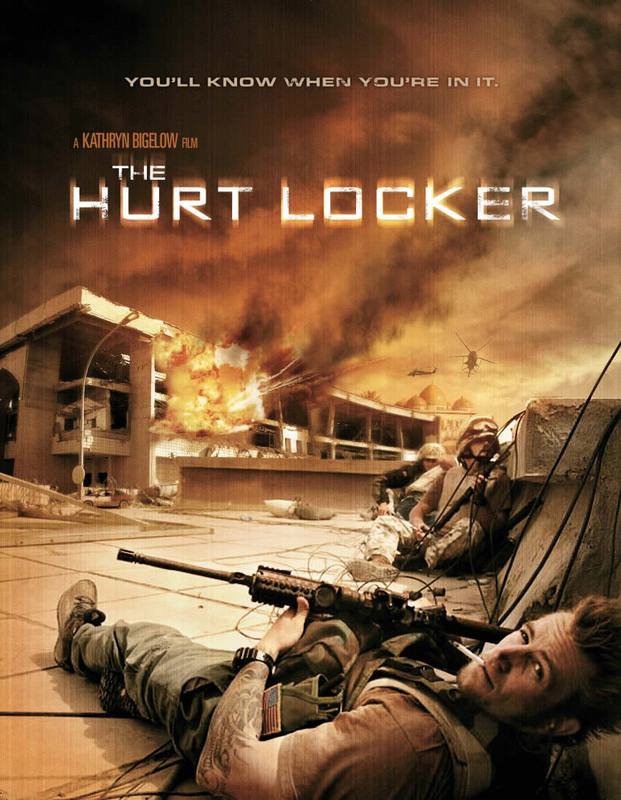 Good special effects and good storytelling in this one all the way around. I personally prefer The Two Towers, but like I said, I view it as a gimme. For most people in my age range, from 20 to about 30, The Godfather is a quintessential element of American film. It’s really hard for me to picture movies without The Godfather somewhere in the background, and I’m not sure why. Most people my age automatically associate Marlon Brando with this movie in particular, not necessarily with many other great films Brando made during his career. It’s a movie that’s still referenced and still watched today, and even though it’s now over 35 years old, it still seems pretty fresh. I actually own the Godfather trilogy on DVD. I and II have received repeated viewings in my household. I’m not ashamed to say that I’ve never made it through a single, whole viewing of Part III, mainly because it’s an awful piece of dreck, as most know. The only reason I can think of why I own it is that as a film nut, it feels wrong not to own the entire trilogy, but rather only two-thirds. Back to the original, however. It’s obviously a well-crafted movie. The sets, costume design and lighting seem pitch perfect. The music is amazing. I can think of several movies, however, that have had all of these elements but fail to stick in the American psyche as firmly as The Godfather. One of the main elements here is casting. The struggles Francis Ford Coppola went through trying to get Al Pacino cast as Michael are well-documented, since the studios were dead set against him, but Pacino is perfect as Michael Corleone. Whenever Pacino is brought up as an outstanding actor, a few movies (like Heat, Dog Day Afternoon and Serpico) come to mind, but none as vividly as The Godfather. Pacino takes a likeable character who is devoted to his family, a war hero who is initially presented as the most noble and honorable of his family and finely crafts him into a man driven by circumstance, his family’s choices and his own conscious choices into a ruthlessly cold monster. Pacino’s real genius is that it could be remarkably easy to hate and despise Michael Corleone, but the viewer sympathizes with him and roots for him all the way through Part I (the viewer/Michael schism, in my opinion, doesn’t come until Part II.) Marlon Brando is stellar as Don Corleone and the supporting cast does a wonderful job. Brando’s obviously given credit where credit is due, but in my opinion Pacino’s the cog that makes the machine work. The story is classically American. It’s the veritable American dream, just in crime instead of an “honest living”. Don Corleone rises from nothing to have everything and his sons are in line to inherit his little empire. But the family is also typically dysfunctional. Connie Corleone marries a worthless abuser and her brother Sonny is constantly helping her out. Sonny’s no better, as he’s a serial cheater who even finds ways to philander during Connie’s wedding. Fredo is bumbling and needs constant supervision, while Michael’s practically the Boy Scout of the family. Don Corleone is the glue that holds the family together and they begin to rip apart at the seams quite quickly when he’s gunned down. The movie, in the end, is about a family at the mercies of and done in by its own choices, whether its to look the other way or live a life outside the law, or to make bold rash decisions. 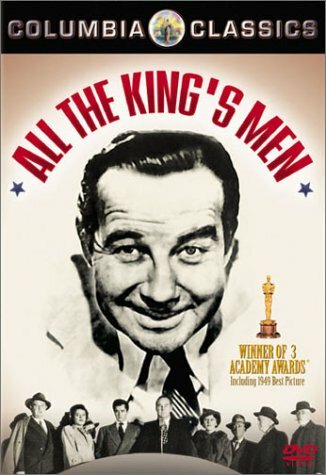 Each choice leads the family down a separate path; but one could argue that many of them all lead to the same path in the end: death, as the Don and his wife die of old age, Sonny at the hands of a murderous gang, and part of Michael effectively dies when he commits murder and takes over as head of the family. It’s a powerful story that resonates with people on a fairly epic scale. Out of all of the Best Picture Winners, this is easily in the top three of all time.